Announcing an A Discovery of Witches special edition of My Chronicle Book Box! 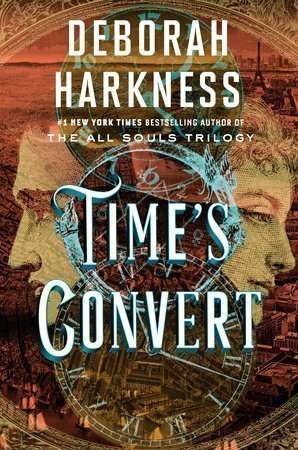 To celebrate the release of Time's Convert by Deborah Harkness (I am sooo excited for this new novel! ); a brand new book in the All Souls Trilogy universe, I am delighted to bring you a special limited edition book box! We are currently working with a number of talented artists, designers and makers to bring you some amazing All Souls Trilogy inspired items to accompany the UK edition of Time's Covert in hardback. The publisher describes the book as "a passionate love story and a fascinating exploration of the power of tradition and the possibilities for change, Time’s Convert will delight fans of the All Souls trilogy and all readers of magic, the supernatural, and romance." Who could resist that? I adore the All Souls Trilogy and I cannot wait for the publication of the book that Deb Harkness was describing as "the Marcus book" before the actual title was announced. 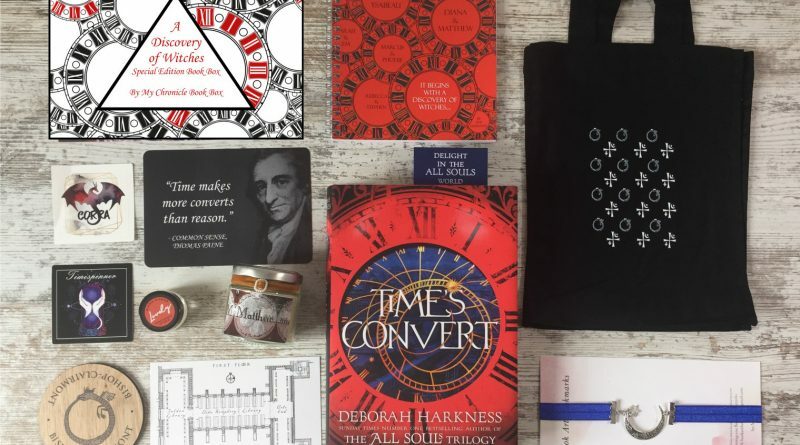 A selection of fabulous items inspired by the characters, places, story and history of The All Souls Trilogy such as candles, artwork and stationery. This will all be carefully packaged in our distinctive My Chronicle Book Boxes and delivered to your door. We ship worldwide and delivery is FREE to within the UK by tracked courier. The box is currently available for pre-order and will be shipped shortly after the publication of Time’s Convert due for release on 18 September 2018. Stay tuned and follow us on social media for further information about exactly what additional items will be in these boxes as we get closer to the release date in September 2018. These boxes are essential for fans of the Bishop and Clairmont families and make the perfect, unique gift for the All Souls Trilogy lover in your life. Only a limited number of these boxes will be curated so pre-order yours and avoid disappointment. When you pre-order you will not pay for your box until 18 September and you have full flexibility to manage your pre-orders from your online account. This means in the unlikely event that you do not wish to go ahead, you can cancel your order anytime before 18 September. Our amazing banner art work was designed for us by Beth at TheEyesOfAFangirl.